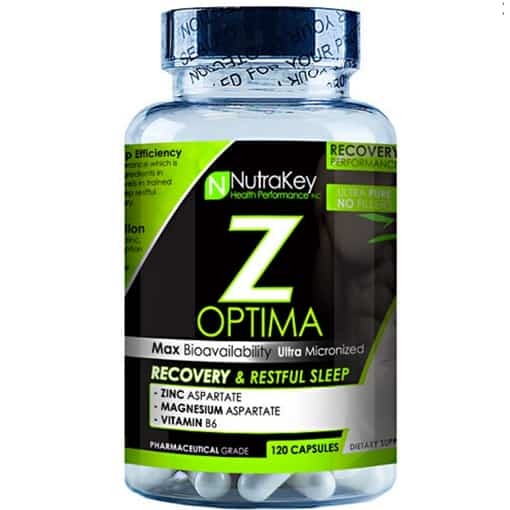 While NutraKey’s Z-Optima is just a simple mineral formula, supplementing with zinc and magnesium have long been known as on the most effective ways to increase lean muscle mass, speed up recovery, and boost testosterone. 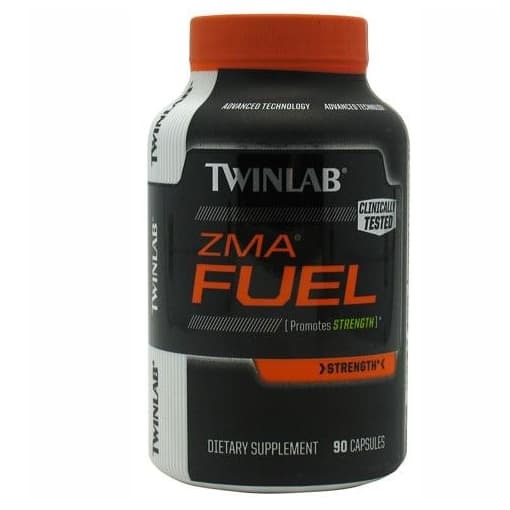 From professional athletes to amateur bodybuilders, the Z-Optima formula is one of the least-contested and most effective supplements on the market. By stimulating the activity of enzymes throughout the body, zinc has been found to be a critical component of protein synthesis and the recovery/growth process of muscle and connective tissue damaged or stressed by intense exercise. 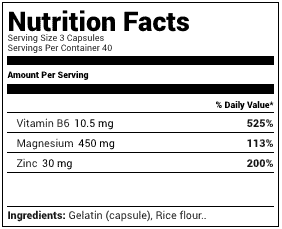 The addition of magnesium – an essential mineral involved in virtually all functions and areas of the body – is believed to further increase muscle size, strength, fat loss, and overall health. Studies have also demonstrated the ability of magnesium to normalize and extend stage 3 and stage 4 slow-wave sleep. This not only results in better-perceived quality of sleep, but extends the period of time when growth hormone is thought to be released at the fastest rate. While the ingredients in Z-Optima are not meant to directly promote testosterone and hormone production, athletes supplementing with this formula have experienced as much as a 30% increases in testosterone levels and a 5% increase in insulin-like growth factor (IGF-1) over several weeks of use.1 Athletes taking a placebo actually saw these hormone levels decrease by 10% and 20%, respectively, over the same time period. Furthermore, during the same study, those taking the Z-Optima formula experienced nearly 2.5x more strength gains and reported much better sleep than those taking a placebo.